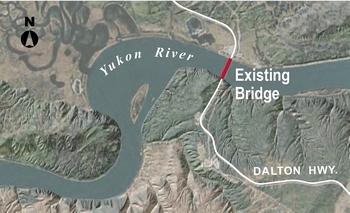 The Alaska Department of Transportation & Public Facilities (ADOT&PF), in cooperation with the Alaska Division of the Federal Highway Administration (FHWA), is conducting a reconnaissance study to evaluate the Dalton Highway Yukon River Bridge. The study will identify needs for a new or rehabilitated crossing, evaluate risks to the existing structure, identify alternative crossing locations, and provide recommendations for future improvements. The Yukon River Bridge and Dalton Highway provide critical support to existing and future economic development and transportation needs of the Interior and North Slope of Alaska. 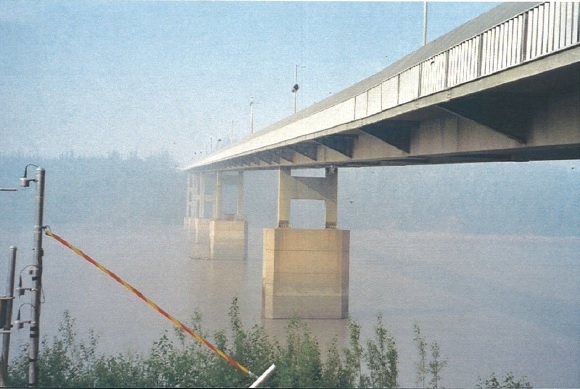 The overarching project purpose is to ensure bridge access is maintained across the Yukon River.